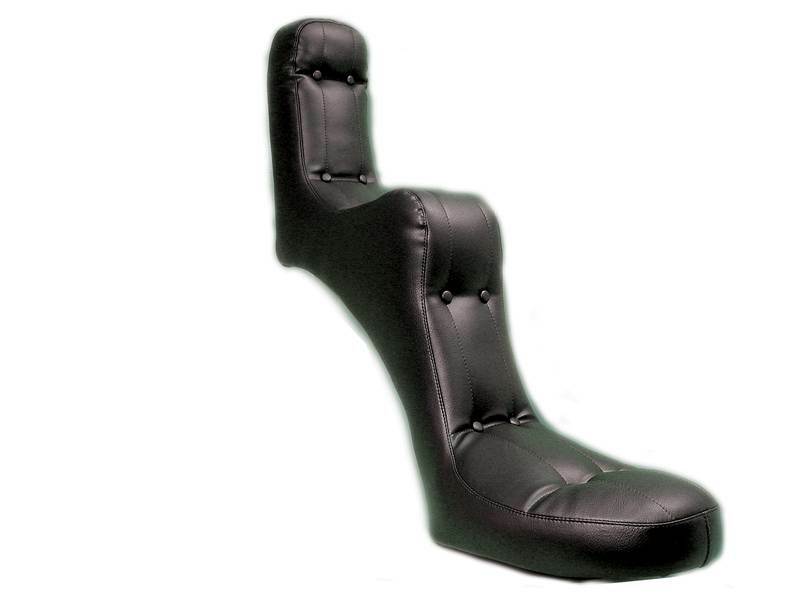 Rigid style high back seat features 14.5" self supported back. The 9/16th round steel rod is welded in place for solid support. Made in the U.S.A.
Steel baseplate has bolt holes to accept nose mount bracket and to direct bolt to rear fender.